Exceptionally light and compact, Evolv’s Cruzer Psyche is the way to go when you expect to spend most of the day with your approach shoes in the pack or clipped to your harness. This of course means that they excel on multi-pitch climbs that require a walk-off but they’re also good for the crag and I even as a hut bootie. So what’s the downside with these super light and inexpensive technical shoes? In a word, durability. 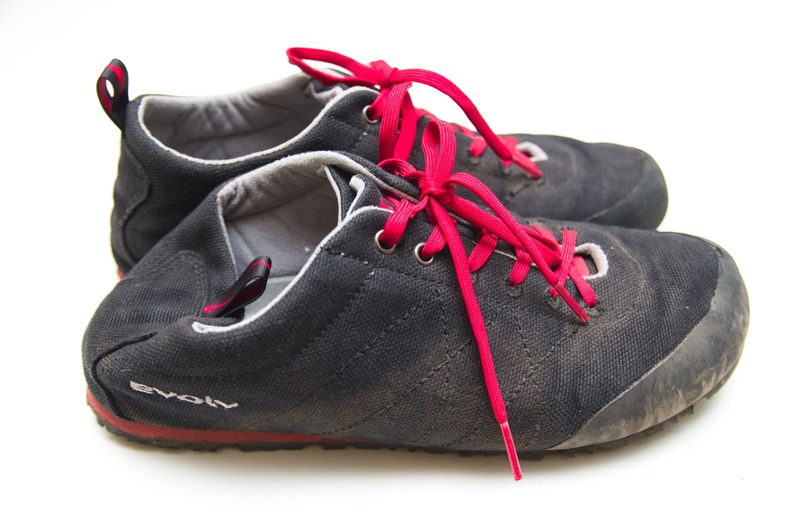 The canvas upper is soft and just doesn’t stand up to long approaches, scrambling, scree runs, etc. But so long as you know the limitations it’s a great shoe. A specialist tool that excels as a light and pack-able technical approach shoe. Testing to see how the Cruzer Psyche perform on rock. They did exceptionally well due to the sticky rubber and great fit. Sorry for the crappy cell phone pic! The soft canvas upper on the Cruzer Psyche give the shoes a soft feel and allow them to quickly conform to the shape of your foot. When combined with a memory foam insole the result is a very comfortable shoe that fits well right out of the box. In what I assume is an effort to keep the weight down they have a narrow sole at the heel that can feel a little unstable or “tippy”. The shoes feel very secure on the foot with no movement at the heel. Overall, a very comfortable shoe with a great fit. I was very impressed with how sticky the rubber is on the Cruzer Psyche. The combination of the secure fit and this rubber allow the shoes to climb quite well. The tread pattern is shallow which is great on hard surfaces like rock but not awesome with mud, dirt, gravel, etc. Of course one really big benefit with the Cruzer Psyche is how they feel clipped on a harness, it’s great to lighten the load a bit for that long route! 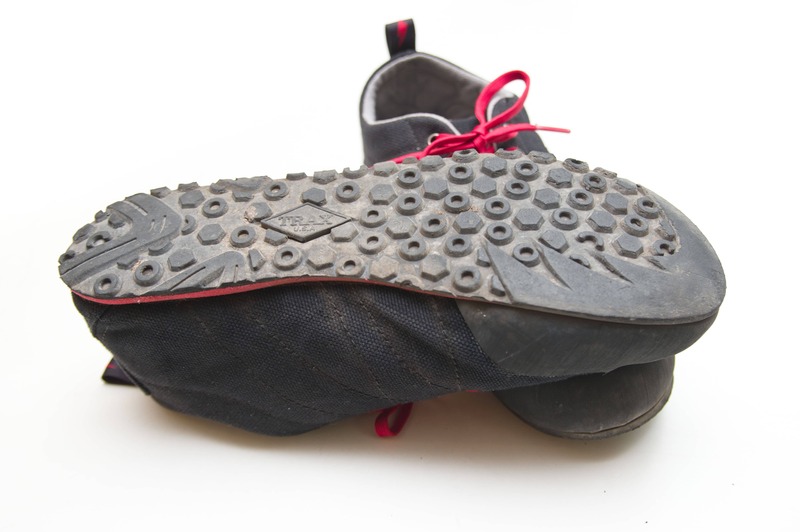 The TRAX rubber on the soles of the Psyche Cruzer shoes is great on the rock but the low profile tread is not the best at providing traction on the trail. Evolve has gone with a tongue that is stitched on the outside edges and split down the middle. Similar to the tongue they’ve used on other shoes such as the Astroman. This lightly padded tongue has been partnered with some flat laces making the shoes easy to get into and very comfortable no matter how tight you want them for that low fifth class technical approach. The flip down heels make the shoe great as a cragging slipper. 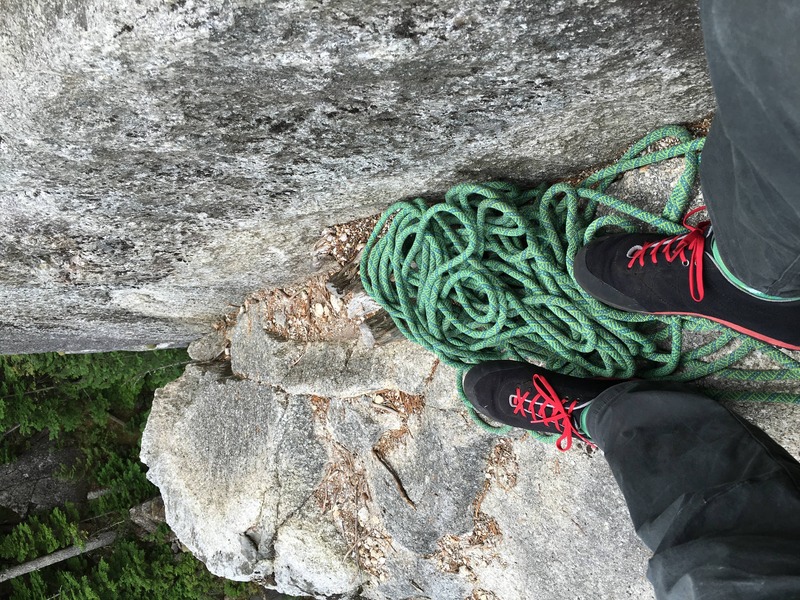 The Cruzer Psyche shoes have become an integral part of my long multi-pitch climbing kit. 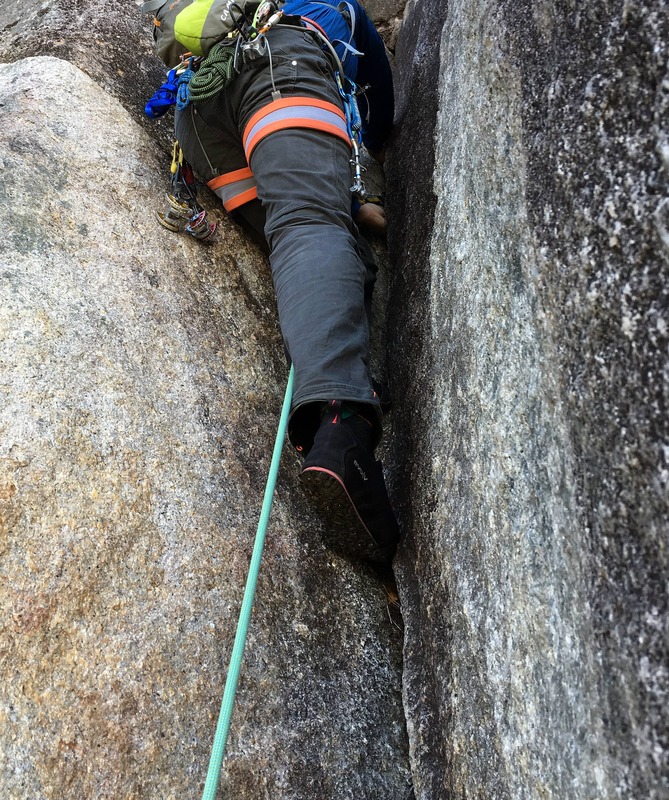 However, they’re also a great cragging shoe with the fold down heel and are secure and comfortable for easier climbing (and a sic hut booty!). However, the compromise to having such a light shoe is in the durability and versatility. These shoes just won’t stand up to a lot of abrasion as is often found in talus & scree slopes, etc. and are not designed for long trails. Overall: They weigh nothing, are easily clipped to a harness or collapsed into a pack and are really comfortable! The perfect shoe for long climbs that have walk-offs, cragging or even as a hut or alpine camp shoe. Evolv provided a pair of shoes for testing but of course this did not influence our review. Product photos were taken by Bonsta.